 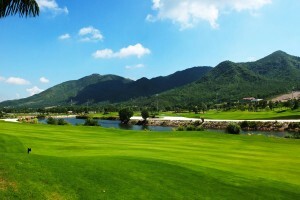 Song Gia Golf Resort is built around a beautiful natural area where Gia River and Song Moc rivers come together, and is perhaps one of the most exceptional landscaped set ups in Northern Vietnam. 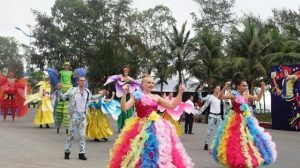 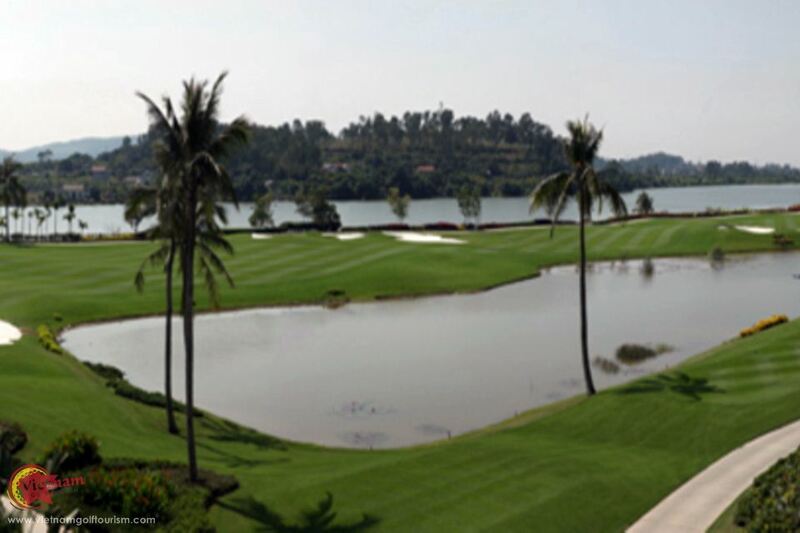 100kms or two hour’s drive from Hanoi and less than 30 minutes away from Halong Bay, the Song Gia Golf Resort opened in 2011. 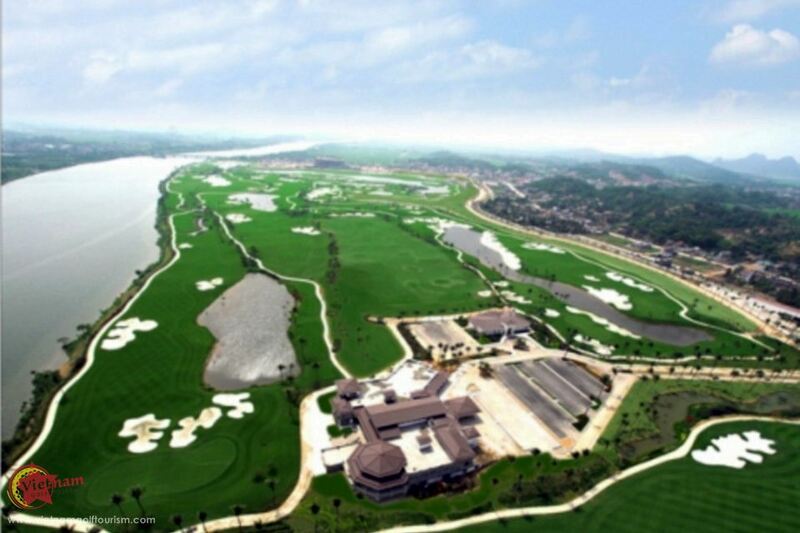 Here they have 27 holes, including a championship 18 holes with River (9 holes) and Ocean (9 holes) plus an executive 9 holes. 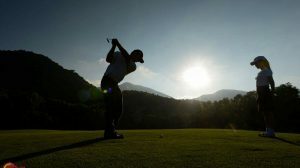 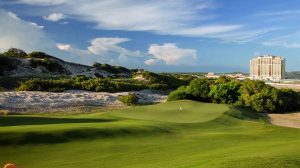 All the holes all are very attractive and challenging for golfers at all levels, and they have also been awarded their USGA certificate for course and slope slope rating. 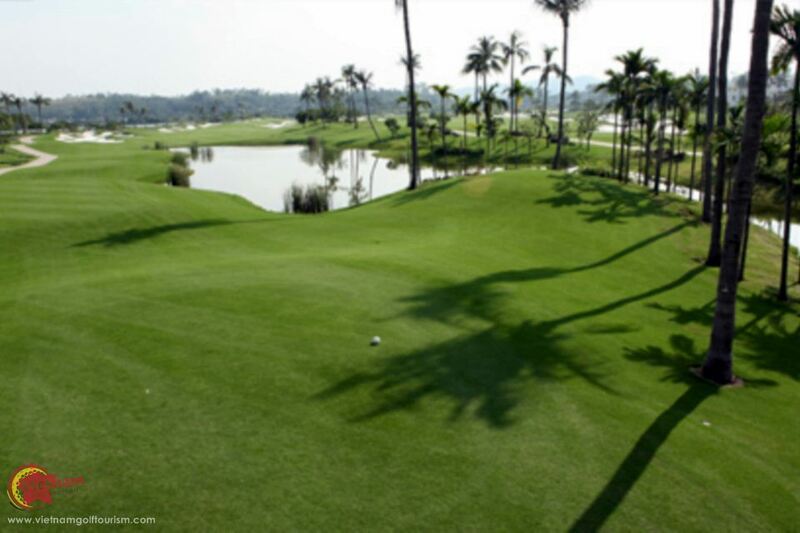 Both courses feature well maintained fairways and greens using Paspalum grass. 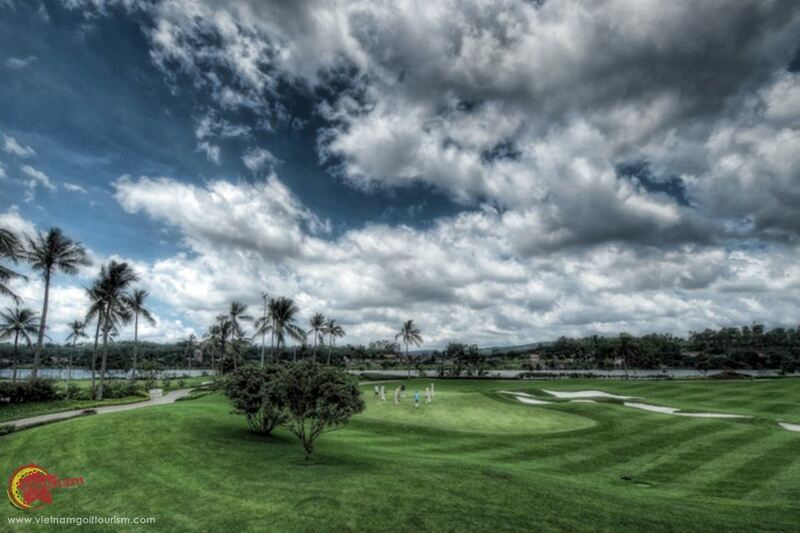 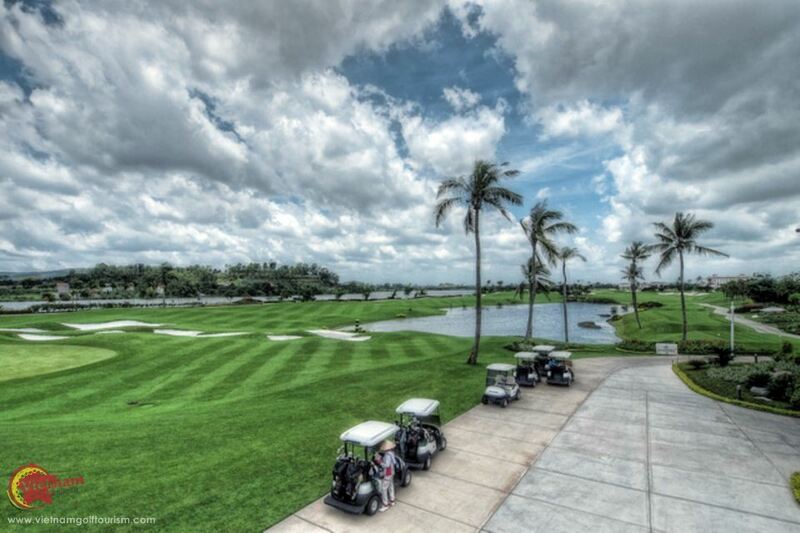 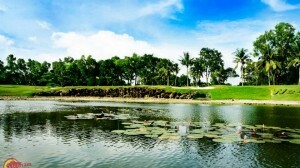 With lakes, coconut trees and of course the majestic Gia river their River Course offers a very peaceful environment. 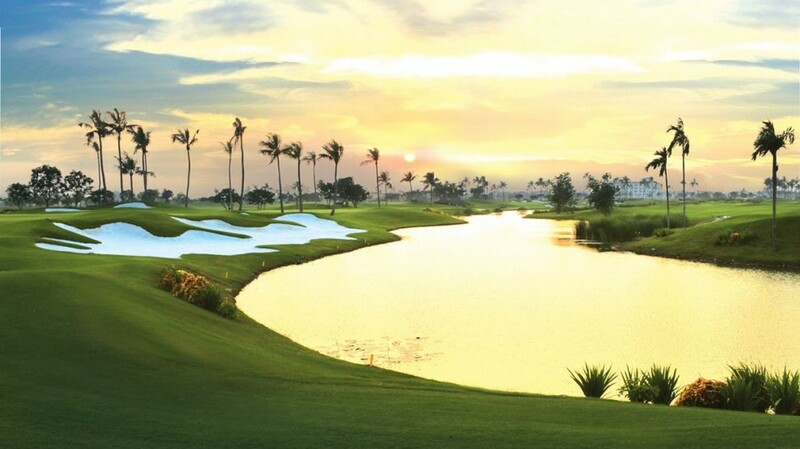 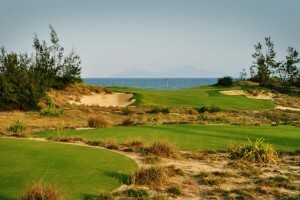 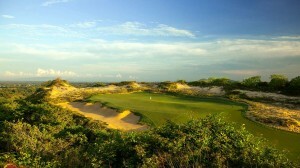 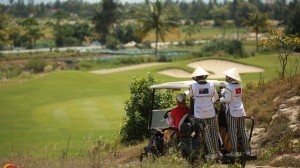 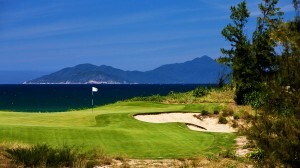 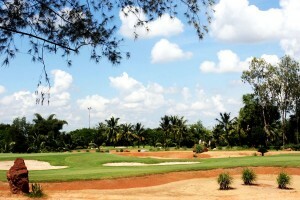 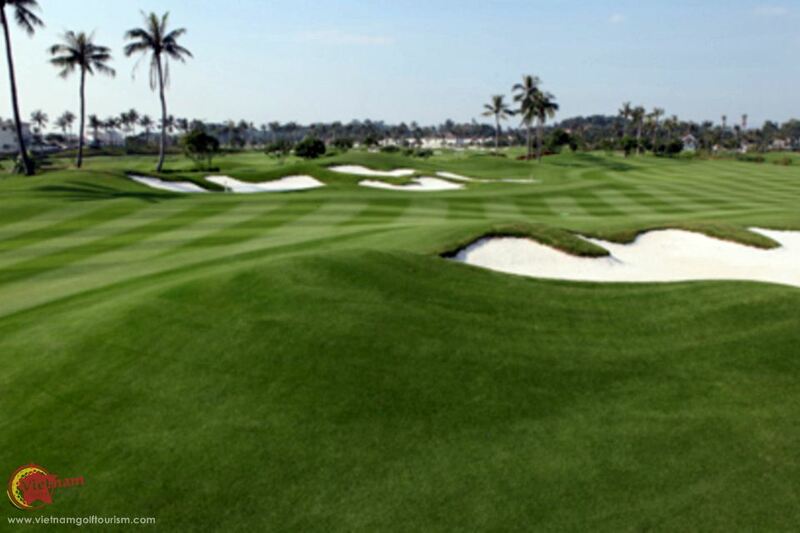 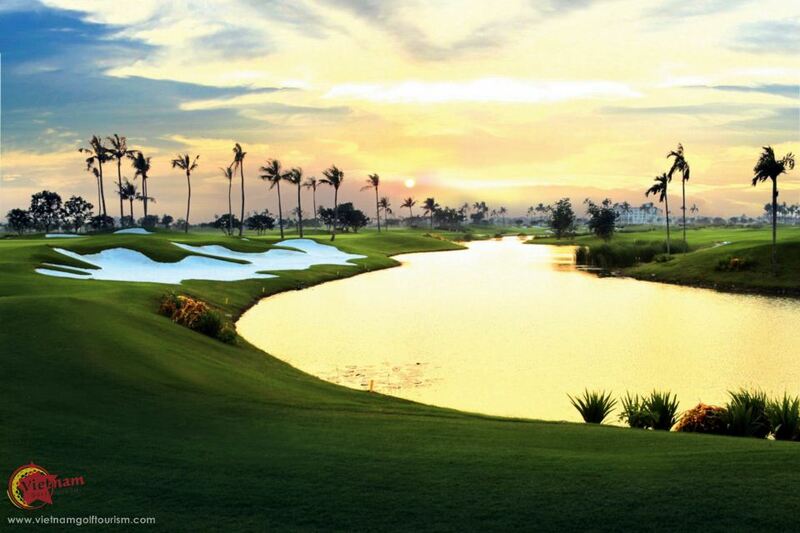 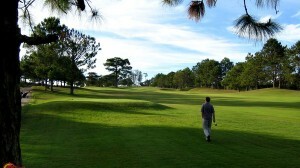 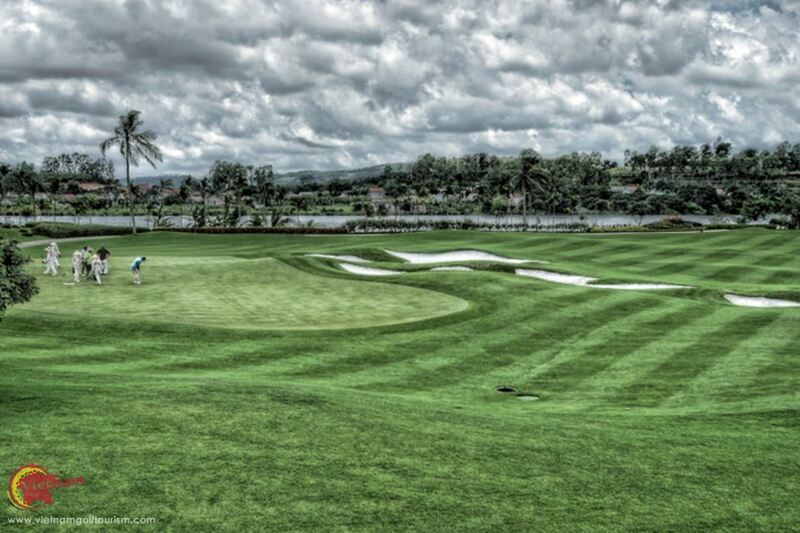 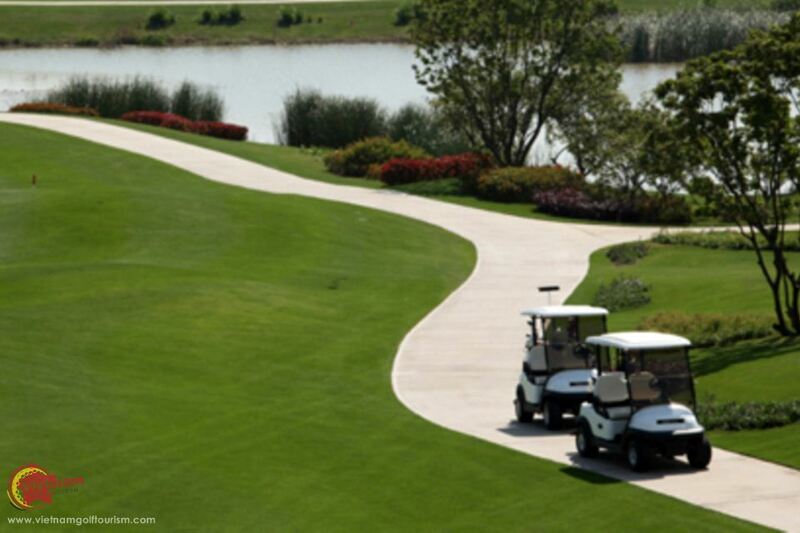 While their Ocean Course benefits from cool breezes as well, and the course is located beside the Moc River. 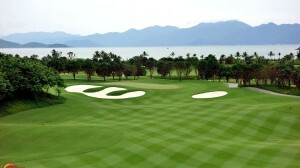 Nice touch are the abundance of flower beds around each hole. 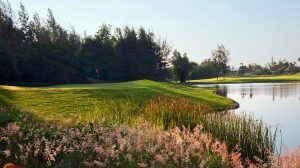 After your round relax in their wonderful clubhouse and there are also numerous other facilities including a full driving range, on site resort, three restaurants, plus a large pool and fitness centre. 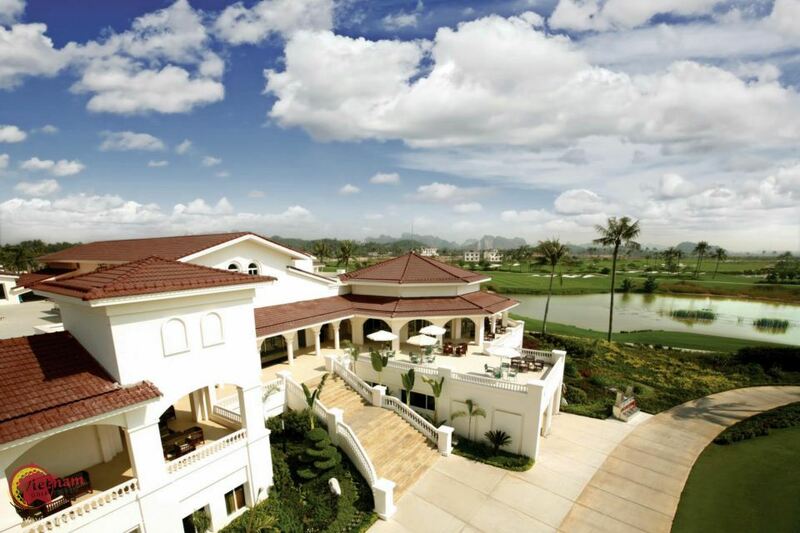 A first class resort all round.